As autumn air settles into the quaint small town of Silver Hollow, there’s nothing more popular than Sasha’s teddy bears—and murder in cold blood . . .
Silver Bear Shop and Factory manager Sasha Silverman is cozying up to the fall season by hosting Silver Hollow’s Cranbeary Tea Party, the opening event of the village’s Oktobear Fest—a too-cute celebration themed around teddy bears. She barely has a moment to agonize over the return of her former high school rival, Holly Parker, whose new toy and bookstore in town could spell big trouble for the Silver Bear Shop and her cousin’s small bookstore . . . But when Sasha discovers Holly’s shop assistant dead with a knife plunged in her body, the unpleasant woman suddenly looks like a real backstabber. So does Sasha’s ex-husband, rumored to have rekindled the fiery extramarital affair he once had with the victim. 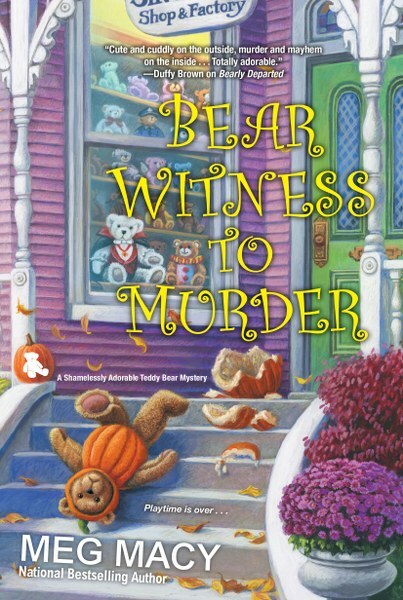 Now, before a gruesome homicide case takes the fun out of both the Fest and her personal life, Sasha must identify the true culprit from a daunting suspect list—or risk becoming as lifeless as one of her stuffed bears . 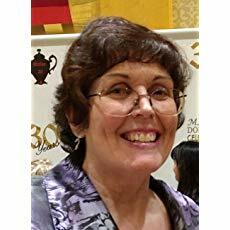 . .
Meg Macy is an award-winning author and artist. Her first published book, Double Crossing, won the 2012 Spur Award for Best First Novel from Western Writers of America. Meg is also one-half of the writing team of D.E. Ireland, authors of the Eliza and Henry Higgins Mystery series—of which two titles have been Agatha Award finalists. 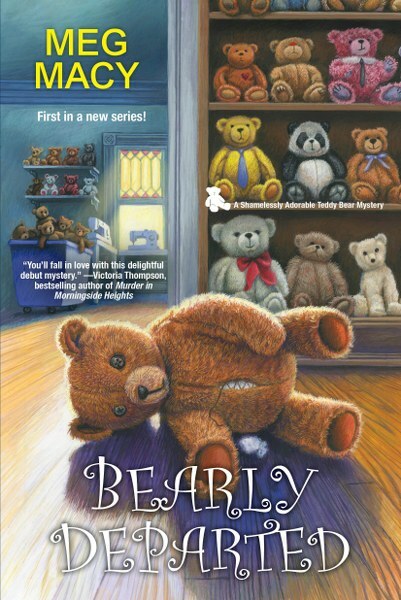 Meg lives in Southeastern Michigan, the setting for her Shamelessly Adorable Teddy Bear mysteries.